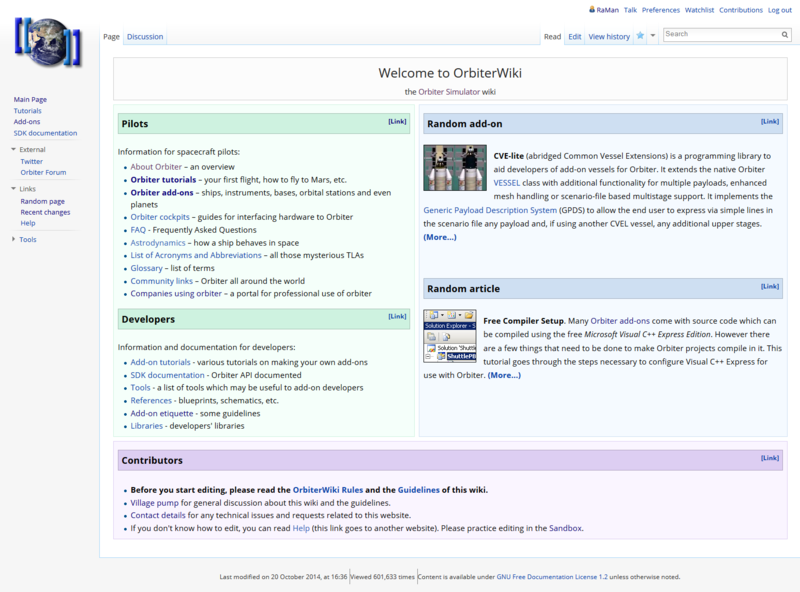 Just a page for general OrbiterWiki discussions (for keeping the Talk:Main Page related to the main page). View archived discussions for 2005-2007, 2008-2010, 2011-2013. Hi! 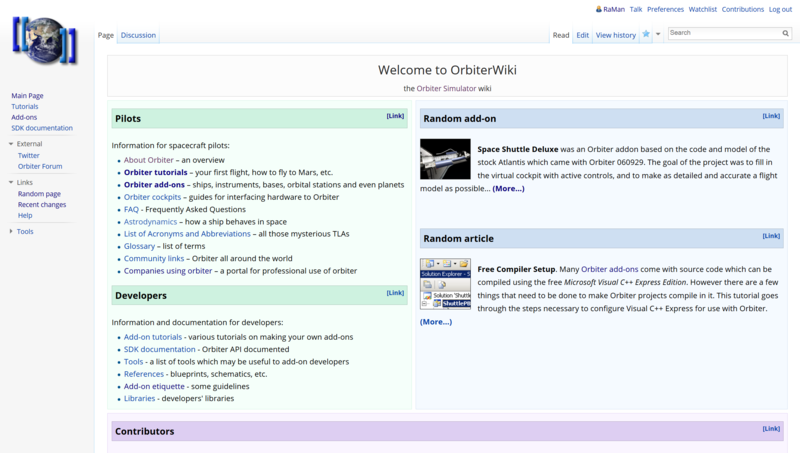 OrbiterWiki is on a new server again, and should be a bit faster now. It's also running the latest software now. Among notable improvements is improved support for high-DPI screens (or zooms above 100% on any screen). In particular, thumbnails will now be sharp as long as the source image is large enough, and MediaWiki Math equations are rendered nicely for such devices. I've modified the main page slightly; if anyone wishes to trim down the list of links, suggestions are welcome. Finally, I'm thinking about switching the default font for the entire site; if done, the site will look like this: low DPI high DPI. Speak up now if you have objections!